I'm not a hoarder, I swear. Ok.. my closet looks like it belongs to a hoarder - like a serious hoarder from the tv show, and I acknowledge that I have a problem there, but the rest of our house is fairly tidy and organized. I get rid of things when I can - donating clothing, toys and household items to charity, and we've had a few garage sales over the years, but there are just some things that I need to hold on to. I love anything personal and homemade. Our home is filled with beautiful keepsakes that combine to tell our story - handmade blankets that were gifted to us, personalized drawings of our family, items we've brought home from our travels that remind us of where we've been and where we are right now. It's all so special and meaningful, and so.. us. I love checking Brennen's bookbag each day after school to see what treasures he's been working on. I have boxes and boxes of crafts and paintings and projects that he's come home with over the years, and I find it hard to throw anything away. It's just all so special. Anything that his little hands have touched means the world to me. I keep birthday cards and invitations, boarding passes and concert tickets. I have Brennen's first lock of hair beautifully preserved in a scrapbook that also holds many other treasures, like his ultrasound pictures and birth announcement. I take photos of everything, and I remember important dates. I have the program from his first music recital, and certificates from everything he's ever been involved with, tucked away in a safe place to save forever. I keep report cards and progress reports, hospital bands, newspaper clippings, and anything that holds meaning and memories that I never want to forget. I am acutely aware of how quickly time passes, and I want to hold on to every second. Brennen is growing up before my eyes. He's not a baby anymore (though he will always be my baby), and I am trying to hang on to every moment of his childhood. My heart skips a beat when I realize that he will never be this little again. I want to remember how his hands fit into my hands, how his body curls into mine, and how his head tucks perfectly under my chin. This is the joy of motherhood. Now, don't get me wrong, I'm not all "Debbie Downer" about it either. Sure, thinking about the future scares the crap out of me sometimes, but to be honest, I am excited for the future, and for new adventures. More growth and learning can never be a bad thing. Time is a gift that I am happy to receive. Wee Piggies was started in 2001 by a Mom wishing to capture her children's unique hand and footprints. As the brand evolved, product lines were successfully added to include Sterling Silver Fingerprint Jewelry.. which I absolutely adore!! I love learning about the different ways that women are able to balance their personal and businesses life, and I am always inspired by women who are able to work from home while raising their children. Charlotte Dinham is the operator of Wee Piggies & Paws here in St. John's, and she is doing just that. Charlotte is a mom of two, and a proud business owner. She loves meeting clients in her home, and capturing the 'newness' of babies and the uniqueness of children. Charlotte is an absolute delight to work with! She was so gentle with Brennen when taking his thumb print, like she's known him forever. Wee Piggies is proud to be a Canadian company, started and run by Moms who strive to balance work and family while at the same time, make a difference producing one-of-a-kind, beautiful, lasting keepsakes. 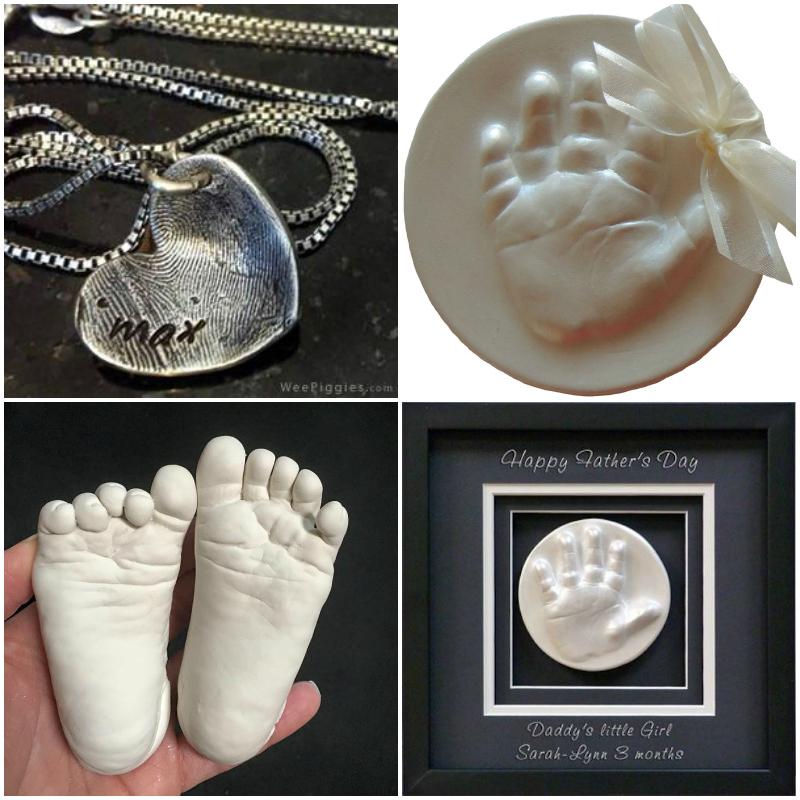 Wee Piggies produces a range of children's memorabilia, including Shadow Boxes, LifeCast Statues, Raised Impressions, Photo Crystals, and Sterling Silver Jewelry. Each piece is truly one of a kind, created just for you. 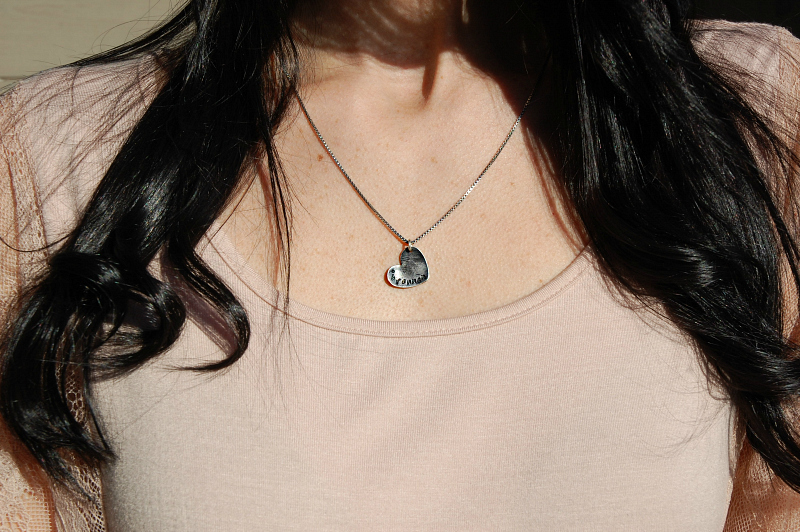 I just love having Brennen's little fingerprint and his name hand-stamped in a heart, close to my heart. It is so personal and meaningful, and I will treasure it always. Check out Wee Piggies & Paws, and their beautiful collection of meaningful gifts and keepsakes!